Chinese Premier Li Keqiang said on Wednesday that China will promote development through deepening reform and opening its doors more widely to the outside world. His statement came during his speech at the General Debate of the 71st Session of the UN General Assembly, held in New York. "China's experience in the past decades has proven that a closed-door policy only leads to stagnation and backwardness [...] China will open its doors even wider to the outside world," he told the UN. 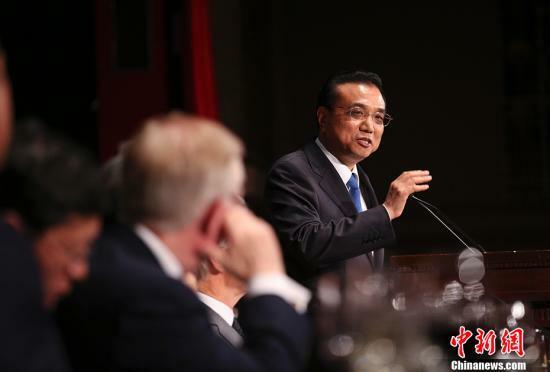 As an example of China’s willingness to open up its markets, Li announced that China will soon resume imports of US beef, putting an end to a 13-year ban. Moreover, Li said China has decided to designate a Chinese bank as a clearinghouse in New York for yuan-denominated transactions, later clarified to be the New York branch of the Bank of China. Li added that non-Chinese banks in New York that meet the requirements are also welcome to become clearinghouses for yuan-denominated transactions.